I'm writing this post to give some news about PlayOnLinux and PlayOnMac v5. First of all, the development is rather going well. It takes quite a lot of time because we have to maintain PlayOnLinux 4 and the servers at the same time, and a lot of work remains to be done. This is why it is not possible to give an ETA for the release. However, I can show you what is done so far. This is the main reference interface. This interface is supported on Linux and on OSX. 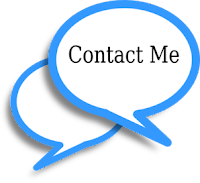 We are trying to spend time to make it as user friendly as possible to avoid any confusion. We are also aware that some of you do not really like the idea of having a non native interface. This is why some effort are put in the implementation of a QT interface. (This development is mostly done by seijikun, a big thank to him). This interface aims to be as close as possible to PlayOnLinux 4 current interface. The QT interface is not fully implemented at all for the moment, I'm personally putting some effort in implementing the core features, so I do not have a lot of time to help seijkun. But still, here is a screenshot so that you can have an idea. The CLI interface is not implemented yet at all. We want, on the long run to be able to run PlayOnLinux from the command line. This interface allows us to run automated test. I'll talk about this in a short paragraph. 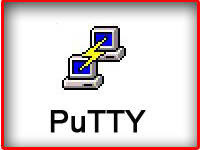 The scripts (or installers) are written in Python. Basically, it will give to the scriptors as much liberty as they have in PlayOnLinux 4. However, we are also going to support a new concept: Installers templates. Installers templates are reusable scripts. For example, we will write one script for all Source games. The choice of the base template is made by the scriptor. In terms of memory, PlayOnLinux 5 seems to use a little more memory than PlayOnLinux 4. It is expected because contrary to PlayOnLinux 4, everything us running in a single multi-threaded process. PlayOnLinux 4 is creating a lot of processes, making memory measurement very hard, and wasting a lot of resources. We've run some benchmark to compare interface performances. PlayOnLinux 5 is running way faster. In fact, it was impossible to script a smooth progressbar with PlayOnLinux 4 because the wizard was responding too slow. To measure the responsiveness of the interface, we compare the time required to show 1000 messages in a wizard. We also write unit tests for non UI classes. I think that this is all I have to present for the moment. If you have any question, feel free to comment. I will edit the news if I find anything else. At WineConf we had a fairly uncontroversial discussion about the Wine Stable release process. As the current process of feature based Wine releases isn't working(*) following changes were agreed upon. - - Switch to time based releases. - - Major releases once a year in autumn/fall. Code freeze starts around mid/end of September. - - Michael Stefaniuc will be the stable maintainer starting with 1.8.x. Other people are more than welcome to help out with Wine Stable. I'll document stuff and send out a request for help during the code freeze. - - The stable release will be supported in bugzilla. - - This changes take effect immediately. You can expect Alexandre to announce a code freeze in the next couple of weeks. - - We will revisit this changes should the need arise, e.g. reduce the time between two major stable releases. The discussion was done based on slide 9 of Alexandre's keynote At the start Alexandre and others noted that we do not hear from users for whom 1.6 is just working. We are getting reports only about the stuff that breaks. - - 6 months better? No, the 12-18 months stable release cadence prior to 1.8 was ok. Can be reduced later on should the need arise. - - Synchronize with (a) major distro? No, release dates can slip on both ends. Freeze should also not impact GSoC. - - Nobody else volunteered during the discussion for the stable maintainer role. For the more drastic proposal of removing the the Wine Stable version altogether, Alexandre made drafted a plan to follow a similar model to the Linux Kernel. One release for the risky stuff and every second release is for stabilization. He proposed also a two weeks "merge window" for risky stuff followed by two weeks for the fixes and the last two weeks of "freeze". This produced a loud outcry from most developers: it would be unworkable without a prior move to a git pull model to accept new features. This basically killed the proposal. (*) 1.6 released > 2 years ago and was latest updated 1.5 years ago. It doesn't compiles on a modern distribution anymore. Una buena parte de los usuarios de Linux y Mac se encontrarán con que hay algún programa para Windows que tienen que utilizar a diario o con cierta frecuencia. Para muchos la solución es Wine, que les permite usar esas aplicaciones en entornos *nix con mayor o menor éxito. Desafortunadamente, Wine no proporciona ninguna garantía para aplicaciones concretas, ni existe un soporte oficial por parte de los desarrolladores más allá de la comunidad o de colaboradores altruistas. Aquí es donde CrossOver entra en juego. CrossOver lleva varios años siendo el principal soporte económico del proyecto Wine. Ofrecen una versión personalizada de Wine e incluso dan soporte oficial a ciertas aplicaciones -determinados juegos, software de productividad y utilidades-. Para muchos usuarios Wine satisface sus necesidades sin coste alguno, pero para aquellos que quieran una ayuda extra o no se vean capaces de configurar su instalación de Wine adecuadamente, CrossOver es una buena solución. Por 59.95$ USD, CrossOver proporciona un instalador automático de muchas aplicaciones, así como integración con el gestor de paquetes para instalar las dependencias que hagan falta -por ejemplo, códecs o fuentes concretas-. Para mí personalmente, la mejor característica de CrossOver es la integración con el gestor de paquetes. Todas mis aplicaciones (MS Office, World of Warcraft, Warcraft 3 y otras) funcionan correctamente en la versión básica de Wine, pero cada que vez que cambio de distribución Linux tengo que instalar todas las dependencias del sistema como los códecs gstreamer, libmpg, soporte mp3, etc. Sin embargo, CrossOver me ofrece instalar todos esos paquetes en cuanto intento ejecutar una aplicación Windows que los necesita. Para usuarios avanzados, adquirir CrossOver puede que no suponga un beneficio directo, pero para aquellos menos tecnológicamente versados o que simplemente quieren contribuir con el proyecto Wine, CrossOver es una manera fácil de obtener ayuda y ayudar a la comunidad de Wine. Con el paso del tiempo CrossOver ha conseguido asentarse, desde CrossOver Office 5 de hace más de 10 años y CrossOver Games, que ahora se incluye integrado en el propio CrossOver. CodeWeavers recently released CrossOver 14.1.6 for Linux and Mac. Gaming performance continues to advance with this release. Their are important fixes for Mac OSX El Capitan RHEL CentOS and Ubuntu in this release. The full change log is provided below. Fixed a problem which caused CrossOver to crash on El Capitan when selecting a bottle in the GUI. Fixed a bug which caused Mamut Business Software to crash during installation. Fixed a problem which caused CrossOver to fail to load libX11 on RHEL / CentOS 6.7. Fixed a problem in which CrossOver would complain about unmet dependencies of libosmesa6 on Ubuntu 14.04.3. 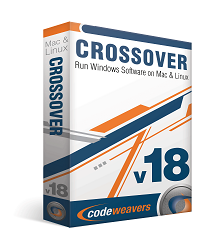 I am delighted to announce that CodeWeavers has just released CrossOver 14.1.6 for both Mac OSX and Linux. CrossOver 14.1.6 has important bug fixes for both Mac and Linux users. Mac customers with active support entitlements will be upgraded to CrossOver 14.1.6 the next time they launch CrossOver Mac. Linux users can download the latest version from https://www.codeweavers.com/.